Wrapped in mystery and legend, on one end of the unspoilt Meemure village, Lakegala rises regally above the surroundings like a silent giant, being world-famous as the highest bare rock outcrop in the world. In Sinhala language “The Rock of Lanka” is the meaning of “Lakegala”. Lakegala mountain is situated about 175 kilometers away from the capital Colombo. 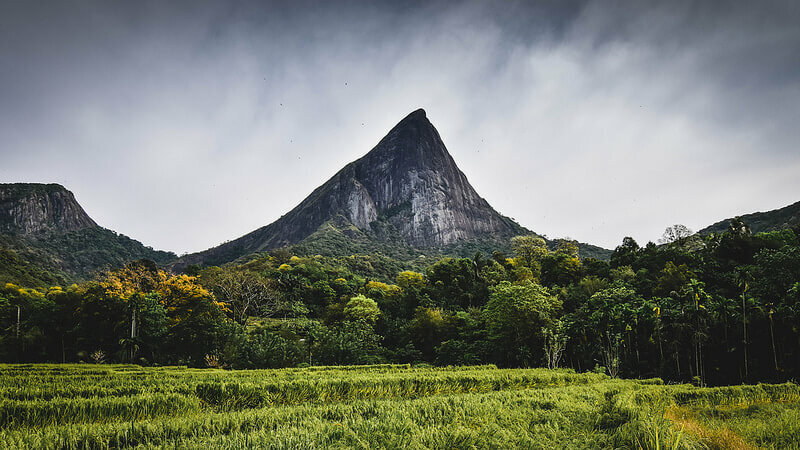 This mountain is situated in ancient Meemure village which is a major attraction among visitors to Sri Lanka. Situated near the border between Kandy and Matale districts, there are several access points to Lakegala. The rock is about 1,310m high and in the Knuckles mountain range. Although it is hard to reach the peak of the mountain and the last 300m of the journey is difficult, adventurous people find it’s well worth the effort. On the top of Lakegala you will get a clear view of the East sea shore of Sri Lanka. The mountain is covered with beautiful wild flowers and you can see eagles roam in the sky. The journey begins by passing a few village houses. First 3 km of the journey is river-based trekking. It is also a journey with horror and you have to lean and jump as the route is covered with creepers, rocks etc. The rest of the journey is allocated to climb Lakegala. Lakegala is considered the toughest rock climbing adventure in Sri Lanka. Lakegala is located approximately 4 hours away from our bungalow and hotels in Kandy. Make sure to ask our team at Amaya Hills, Hunas Falls or at Amaya Bungalow to arrange an excursion for you.